After a productive Presidency Meeting in Brussels, on 23-24 March 2018, UNPO is happy to announce the addition of the newest member to the organization. Southern Cameroonians have been struggling from persecution and repression under the Cameroon government since 1958. Representing one-fifth of the total population, the English-speaking Christian minority group suffers from lack of political access, linguistic discrimination, police brutality and lack of infrastructure development despite significant contributions to the economic development of the country. More information will follow on the Southern Cameroons Member profile soon. The State of Ambazonia is a republic in Western-Central Africa and makes up an area of 43,000 km2 with approximately 6-8 million inhabitants. It is located between Nigeria to the West and North and the Republic of Cameroon to the East. The people of Ambazonia possess a common heritage in their historical circumstances, linguistic culture, as well as their territorial legacy. The State of Ambazonia, also known as formerly British-Southern Cameroon, has gained its anglophone heritage from the British administration before and after World War I. In a in February 1961 held UN plebiscite, the people of Southern Cameroon were given the option to gain independence by either joining the Federation of Nigeria or the Republic of Cameroon. Their wish of obtaining independence by being their own sovereign state was hereby neglected. In October 1961, after the majority of people had passed their votes, the former British Southern Cameroon officially became part of the Republic of Cameroon. Ever since, the people of Ambazonia have faced economic, political and social discrimination, particularly when it comes to their language. The implementation of the French language in the judicial and educational fields has caused numerous unrests. Multiple clashes with security forces occurred over the years, as well as peaceful general strikes which were often met with excessive violence by military forces. In general, the right to freedom of expression and assembly is severely curtailed. Scores of activists, protester, teachers, as well as students have been arrested and detained on charges of “secessionism” or even “terrorism”, while many other have reportedly been abducted and tortured. 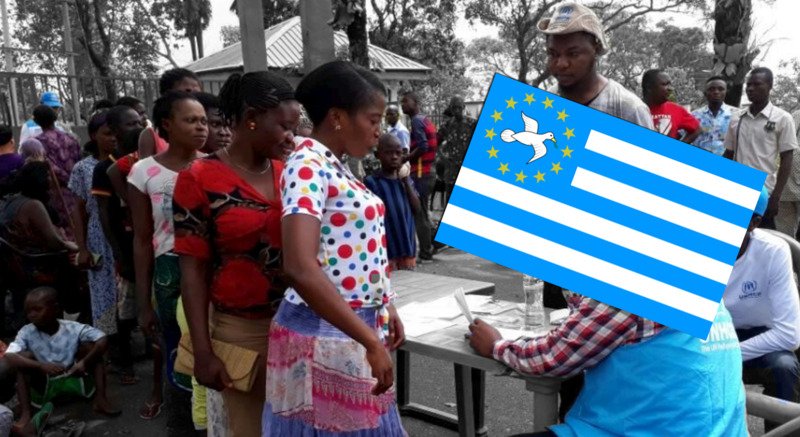 Southern Cameroons, represented in the UNPO by the Ambazonia Governing Council, campaign for the recognition of Ambazonia where they can exercise their political, social, and linguistic freedoms promised under international law, as well as respect for Southern Cameroonians human rights. As their attempts at an fair and equal government in Cameroon have been unsuccessful throughout the years, they believe that the only way they can achieve political and social freedom is by forming their own state. Ambazonia: Nigerian Lawyer in African Commission on Human Rights Court Case Against Cameroon Government for Arrest of Refugees.